It's hard for me to believe it's been five years. 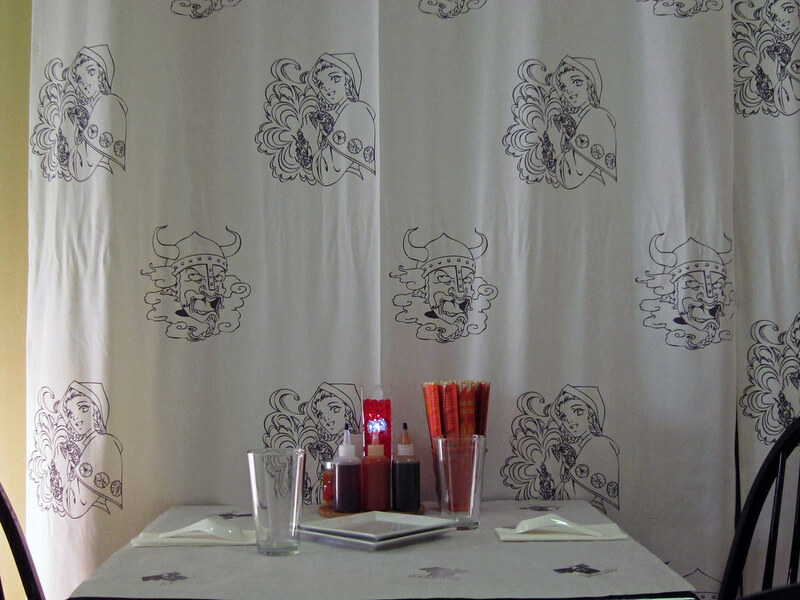 But it's been almost exactly five years to the day since I checked out a curious little pop-up restaurant in a non-descript café in downtown Miami. 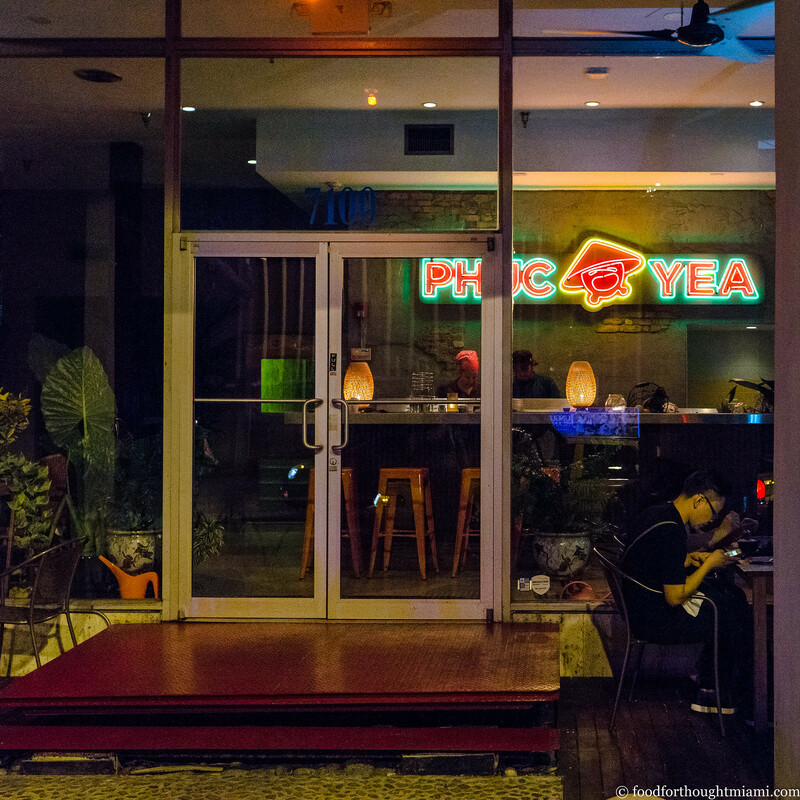 September 8, 2011 was opening day for Phuc Yea!, a little experiment in Vietnamese flavors by Aniece Mienhold and Cesar Zapata, the team who had previously been at a fun little spot in Buena Vista called Blue Piano. (You can read the report here and see more pictures in this flickr set.) I came away pretty excited by what they were doing: banh cuon so good we immediately ordered two more rounds; tasty salt and pepper smelts; a salad of pig ears marinated in nuoc cham, then fried crisp and served over cubed watermelon; chewy pork riblets with a soy caramel glaze. That was five years ago. 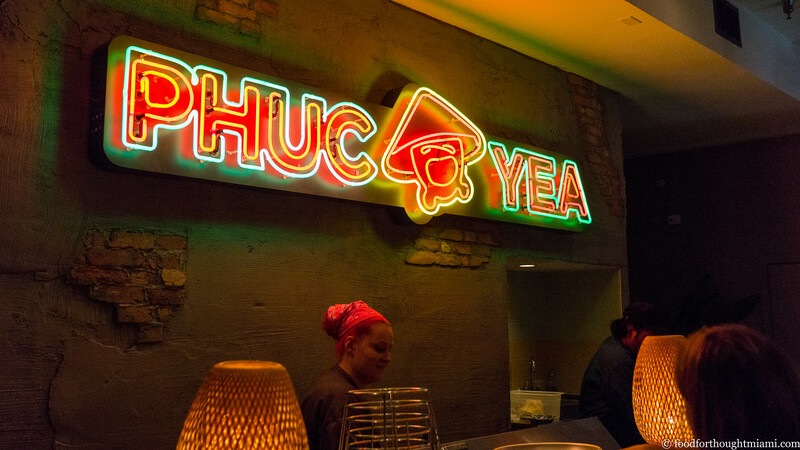 The Phuc Yea pop-up had its three-month run. Then Cesar and Aniece went on to do something different, opening The Federal, which they styled as a "Modern American Tavern," serving buffalo pig wings, creamy duck rillettes topped with marshmallow fluff, and biscuits so good that Williams-Sonoma started selling them. (You can read my thoughts on The Federal here). 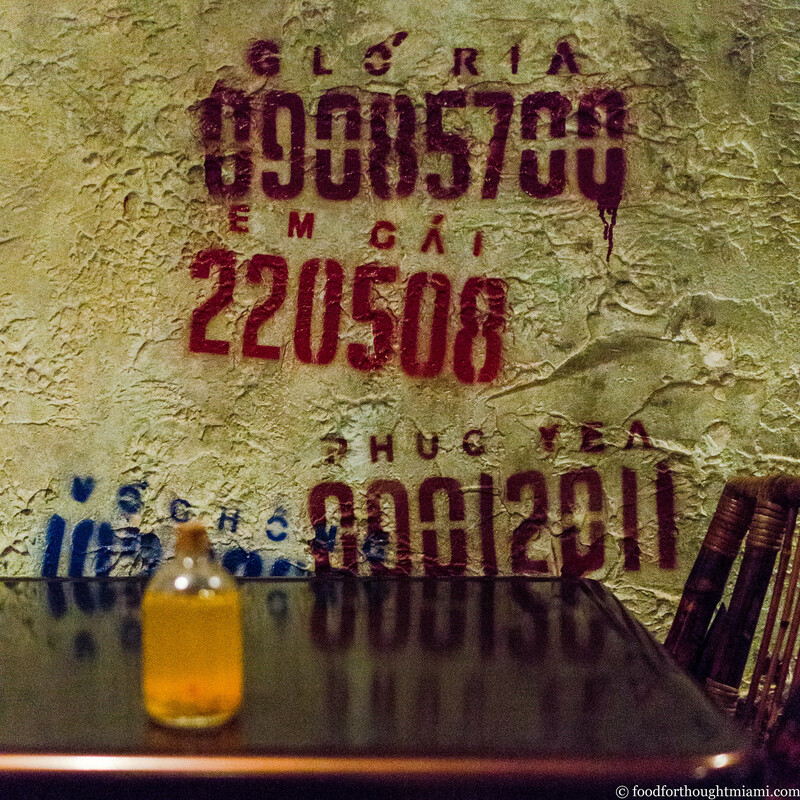 But, like me, they never forgot about Phuc Yea, and never gave up on the idea of reviving it. That idea became reality this past week, as they opened a new Phuc Yea in a permanent home in the "MiMo District." This one is all grown up, in a beautiful bi-level space in an Art Deco style building along Biscayne Boulevard. There's a raw bar and small lounge with a few tables at the entrance, some more tables outside, and upstairs, a dining room with moody, dramatic lighting and another big, welcoming bar, plus plans in the works for an outdoor patio in the back when the weather cools off. (You can see all my pictures in this Phuc Yea - Miami flickr set). The menu brings back many of the dishes from the original pop-up, plus several new items too. Most notably, there's now a raw bar featuring oysters on the half shell with a lemongrass and ginger mignonette, a daily crudo, steamed gulf shrimp and lobster, which can be ordered a la carte or as a seafood tower. There's also a "cajun wok" section of the menu, inspired by the hybrid Vietnamese/Cajun crawfish boil restaurants which seem to have originated in Houston and are catching on elsewhere (some good background on the phenomenon in this Southern Foodways video and this piece by Robb Walsh). You can get crab, shrimp, clams, or in season, crawfish, served up with a choice of sauces: cajun, green curry, garlic butter, or chili garlic. We started with an old favorite, the banh cuon, or pork rolling cake: chewy wide rice noodles, swimming in nuoc cham, that Vietnamese elixir of fish sauce, citrus, garlic and chiles that winds its way like a Bootsy Collins bass line through so many dishes here, garnished with savory ground pork, nubs of cha lua sausage, earthy wood-ear mushrooms, funky dried shrimp, fresh cucumbers and cilantro. It still hits all the right spots for me. So did the meaty, chewy pork riblets, which now also get smoked for an extra layer of flavor. 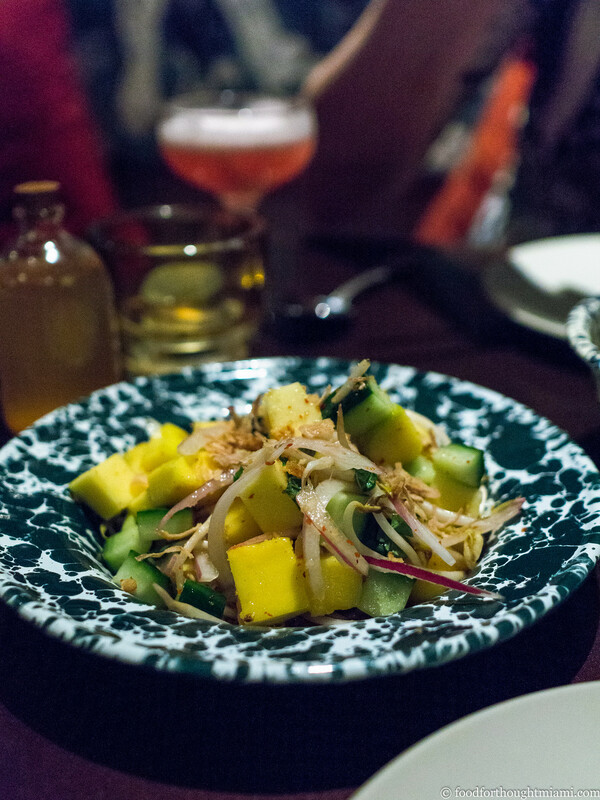 For something new, I really enjoyed a simple, bright, clean dish of fresh mango and chunky cucumber, tossed with slivered red onions, toasted garlic, dried chiles, bean sprouts and herbs. 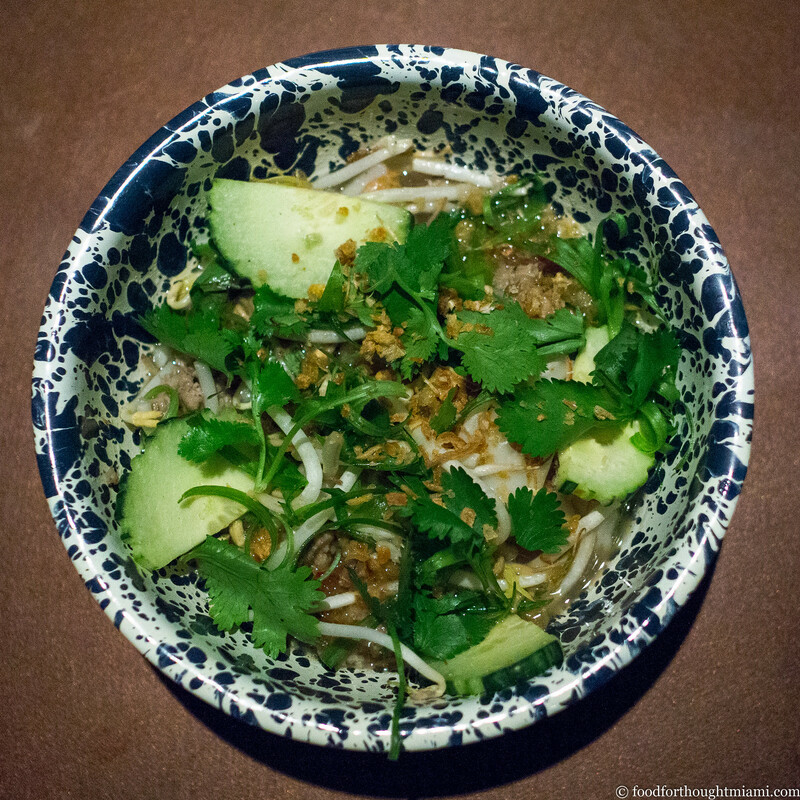 A light wash of nuoc cham intensifies the flavors, like salting a slice of watermelon. This is a great thing to cut the richness of a buttery seafood boil or a big steak. 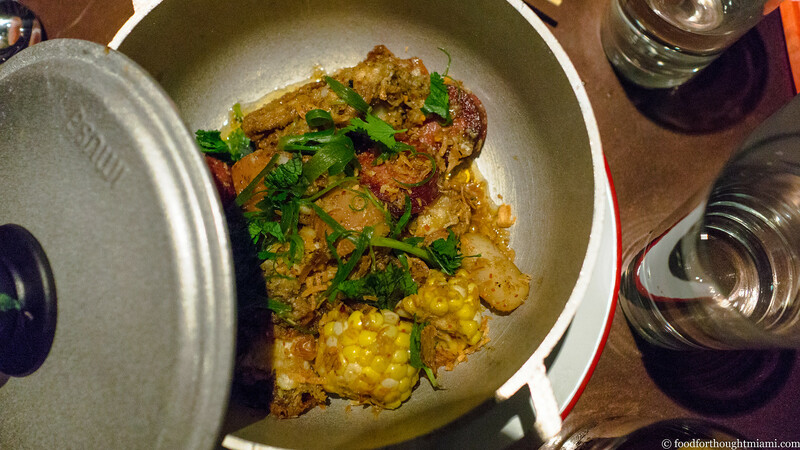 The cajun wok dishes come out to the table in a covered metal stock pot; within this one was an order of soft-shell crabs (a daily special), steeped in a buttery chili garlic sauce, and filled out with the traditional accompaniments to a Louisiana seafood boil: rounds of andouille sausage, quartered potatoes, corn on the cob chopped into manageable cross-sections. Also new: a full liquor license, so they're pouring cocktails that match the sultry but laid-back vibe of the place, ranging from a semi-classic Mai Tai, to the bright, floral "Belle Fille" with gin, hibiscus and rose water, to the dark, moody "French Quarter" with double-rye whiskey, walnut liqueur, oloroso sherry and orange bitters. Welcome back, Phuc Yea – I can't believe it's been five years, but you look great. The Federal closed shortly before the opening of Phuc Yea. 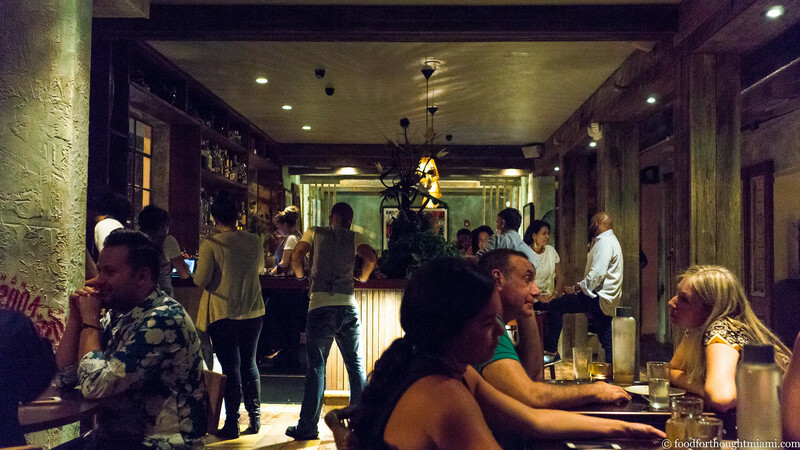 The spot was last home to Moonchine Asian Bistro. The Art Deco style building in which it is located was constructed in 1939, and operated in the 1940's as the Sir William Hotel. It was converted to offices in 1960, and because of the alterations, the MiMo / Biscayne Boulevard Historic Designation Report actually designated it as "non-contributing." But apparently the original facade had still been preserved, and was restored by a recent remodeling. I used that line before but it was five years ago and I love Bootsy Collins, so I'm not apologizing.